The 2018-2019 Annual Fund Appeal is in progress. 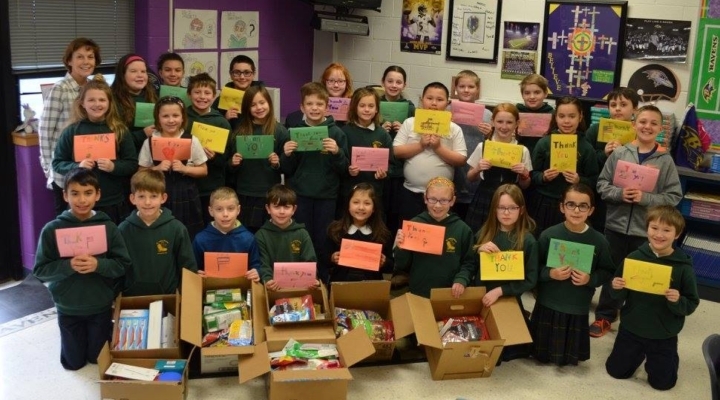 Please consider donating to the Monsignor Arthur F. Valenzano St. John School Annual Fund today. Please join us in honoring our School with a contribution today to the Monsignor Arthur F. Valenzano St. John School Annual Fund! Thank you in advance for your generosity to the Annual Fund. We appreciate all we are able to do with your generous donation. Annual Fund Update: Year to date we are 79% to goal with $67,491.00 raised against our goal of $85,000.00. May God Bless You for your generosity.